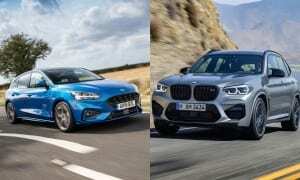 Petrol Vs Diesel Cars In 2019: Which Is Better? - Which? Should I buy a diesel, petrol or hybrid car in 2019? Our expert guide reveals whether diesel really is still the cheaper, wiser choice. Diesel cars have long been favoured by the frugal motorist, thanks to superior fuel economy. Diesel owners also used to pay less car tax. But new diesel cars no longer benefit from low car tax. Plus concern over air pollution from diesel cars is driving new legislation, residual values are set to decrease, and petrol and hybrid cars are becoming more fuel efficient. So is diesel still the fuel of choice? 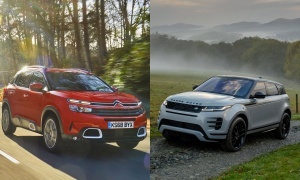 Here, we tell you whether diesels are really still economical, tell you what you need to know about diesel cars and pollution, and reveal which hybrids give diesels a run for their money when it comes to motorway fuel economy. Take a look at the Best Buy cars to find out which models should be on your shortlist. Diesel cars tend to cost more to buy than an equivalent petrol car. In the past, it was possible to make this back thanks to diesel cars having lower car tax and fuel costs. Amendments to the car tax system means diesel owners pay more in the first year, and all drivers pay a flat rate from the second year on. So the only savings now come from fuel economy. Hybrid cars tend to be fuel efficient around town, but become comparatively expensive to run on the motorway. But thanks to technology evolving, there are now some hybrids that buck this trend. Diesel cars are in the limelight for their toxic emissions. But our tests have uncovered some diesel cars that emit less NOx than the average petrol car. New MOT rules say if you have a diesel car with a diesel particulate filter (DPF), and there is visible smoke coming from your exhaust, or they find evidence of DPF tampering, you will fail your MOT. If you have to replace your DPF, it'll be a costly fix. Diesel cars tend to be the fuel of choice for those who need to tow, thanks to diesel engines producing huge amounts of torque (pulling power). But petrol and hybrid alternatives are available. Here's our guide to buying the best tow car. Still not sure if you should choose petrol, diesel or hybrid? Keep reading to find out. Which? ignores manufacturers’ fuel-economy claims and publishes more realistic mpg figures from our own tests. Discover the cars we recommend by viewing our round-up of the best cars. Diesel cars have been known for having better fuel economy - and for good reason. In our tests, diesel trumps its petrol counterpart for fuel economy on both the motorway and around town. Diesel might cost more per litre at the pump, but currently a diesel car's fuel costs will be cheaper than the equivalent petrol car. 1 All results from Which? independent tested, cars tested between 2012-2016. Figures will be updated with the 2017 onwards test programme once we have enough to provide averages. Our unique Which? tests show that, on average, diesel cars are more efficient than petrol by about 9mpg. That doesn't sound much, but can save you close to £200 a year. 9,700The average mileage as revealed by the 2018 Which? Car Survey. Hybrid cars, however, are quickly catching up. Unbeatable fuel economy around town has always been the hybrid's forte. But, compared with diesel, the hybrid car's weakness has always been its poor fuel economy on the motorway. 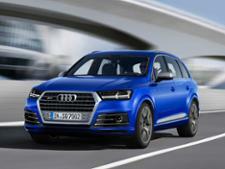 But in our most recent tests, we have discovered two hybrid cars with a motorway fuel economy as good as most diesels. 1 Results from the current (2017 onwards) test programme. For more on how we measure fuel economy from cars, see how we test mpg and emissions. As hybrid technology evolves, we expect more cars to follow suit - with improved overall and motorway fuel economy. If this happens, there will be ever-diminishing reasons to buy a diesel car. You can use our independent fuel economy figures from our car reviews, in conjunction with our fuel calculator below, to work out how much a car will cost to fuel over a year. Fuel-cost calculator: how much will you pay? You can use our simple fuel-cost calculator, below, to easily work out the fuel costs between two cars. Enter the respective fuel-economy figures for the cars and your mileage to see the difference. For the most accurate results, don't use the manufacturers' claimed figures. Instead, use our realistic mpg data from the ‘Tech specs’ part of our independent, expert car reviews. Current fuel prices can be looked up on sites such as TheAA.com or PetrolPrices.com. How much car tax you pay depends on when the car you have was registered to its first owner. 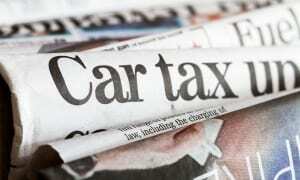 The car then stays on that tax system through subsequent re-sales. Only the first year's payment is based on CO2 emissions. From the second year of ownership onwards, owners pay a standard rate of £140 per year, or £130 for a hybrid car. Only zero emission cars that cost under £40,000 are exempt from car tax. Unless diesel cars meet Euro 6d (see how we test mpg and emissions), diesel cars are charged a higher rate in their first year. The changes from April 2017/2018 onwards mean a large portion of the savings offered by more frugal diesel engines have now been swallowed by the change in car-tax rates. For example, under the old system, if you owned a diesel Ford Focus you would pay nothing in car tax for the first year. Then just £20 a year. If your car's CO2 levels were under 100g/km, like the diesel Nissan Qashqai, you would have been exempt from car tax completely. Now owners of the same cars have to pay between £120 and £140 in the first year, and £140 a year afterwards. That's an increase of £120-£140 a year over the older rules. However, the changes in car tax rates have not been backdated. So if you own a diesel/low CO2 car that was registered to its first owner before April 2017, it will continue to be charged at low CO2. For current rates and more information on how car tax has changed, see our guide to car tax explained. Diesel vs petrol: which is cheapest? Taking purchase cost, first-year tax rate and fuel economy into account, it's possible to work out which fuel version will be better in the long run. To show you, we've taken a petrol and diesel version of four popular cars sold in the UK: the Ford Kuga, Nissan Qashqai, Mercedes C-Class and Volkswagen Golf. Largely thanks to the change in the car tax system, only one diesel version of these becomes cheaper after the first five years of ownership - the Ford Kuga. Price as new is the manufacturers OTR (On The Road) price, and includes the first year of car tax, shown separately. Five year cost based on driving 9,700 miles per annum, the standard car tax rate of £140 per year, plus the initial car cost. Excludes maintenance costs. All cars have a manual transmission, have a five-door body and are all front-wheel drive. Claimed fuel economy is used as we do not have Which? tested figures for all of the specific engine variants in the table. Prices correct as of July 2018. Petrol price used: 128.8p per litre, diesel price used: 131.7p per litre. How long do I need to own a diesel car for it to work out cheaper than petrol? The VW Golf would take an incredible 16 years to become cheaper than the petrol version. Is diesel dirtier than petrol? Typically, yes. Diesel cars, on average, produce a lot more NOx than petrol cars. NOx (oxides of nitrogen), is comprised of NO (Nitrogen Oxide) and NO2 (Nitrogen Dioxide). NOx is harmful and has been linked to tens of thousands of premature deaths around the world. It comes out of all cars with a combustion engine (so diesel, petrol and hybrid cars). But in our latest tests, despite diesel becoming generally cleaner in recent years, diesel engines still produce an average of 11.5 times the amount of NOx compared with petrol cars. However, our tests have found a diesel car that actually produces less NOx than the average petrol car, in our tests. For more on the cleanest and dirtiest diesel cars, see our guide to the cars that produce the most and least NOx. 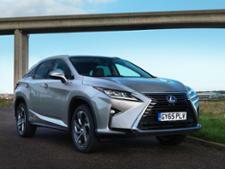 Are petrol and hybrid cars clean? Not necessarily. They might not produce a large amount of NOx, but with petrol, comes the potential of high CO (carbon monoxide) emissions. Just like diesel cars, we penalise petrol cars that produce excessive amounts of CO. Here's our guide to the cars that produce the most and least CO in our tests. One ongoing issue for diesel cars is the diesel particulate filter (DPF), which can get clogged. The filter cuts down on harmful particulate emissions from diesel engines being released into the air, but there are many reported cases of these becoming clogged and needing replacement. Most owners' handbooks advise running the engine at high speed, for example on a motorway run, to keep the filter clear to avoid this. New MOT rules say that any car with a DPF that emits visible smoke, or has found evidence of DPF tampering, will fail their MOT. If your DPF does need replacing, the cost can run into thousands of pounds. Our annual survey data shows that diesel-powered cars are slightly less reliable than petrol ones. Petrol cars are also starting to get particulate filters, though they are currently nowhere near as common. Want to know which cars you can trust? We reveal which are the most and least reliable car brands. Will diesel cars be banned? Yes. The sale of new diesel and petrol cars will be banned in 2040. This was announced as part of the UK Air Quality plan published on 26 July 2017. 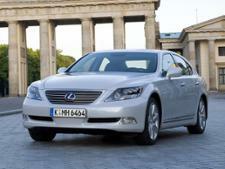 Sales of hybrid cars will continue. Encouraging the use of public transport. If these measures fail, local authorities could introduce restrictions, such as charging zones, or stopping certain cars from using designated roads at set times. However, the plan also states that these restrictions should be removed in the event that emission levels fall enough to be legally compliant and ‘there is no risk of legal limits being breached again’. A £255m fund has been set up to help local councils execute their emissions-reduction plans, with £40m being made available immediately. Several cities around the world have committed to banning diesel cars by 2025. From October 2017, the T-Charge will take effect in London. This means you will have to pay up to £22.50 a day to drive an older car in London. Any car – petrol, diesel, hybrid or otherwise – that doesn't meet Euro 4 emission laws (introduced Jan 2005, mandatory for all new cars as of Jan 2006, though some may have complied earlier than this) will have to pay an extra £10 a day on top of the regular charge (£11.50) to come into the congestion charge zone. 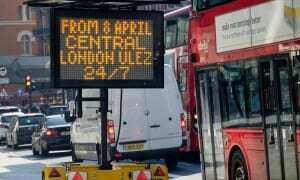 The T-Charge ends in April 2019, when the Ultra Low Emissions Zone (ULEZ) comes into force. Owners of petrol cars that don't meet Euro 4 or better will have to pay £12.50 on top of the congestion charge (£11.50). Drivers of old petrol cars will pay £24 to enter the ULEZ. Diesel cars will have to meet Euro 6 (introduced September 2015, mandatory for all new cars as of September 2016, though some cars will have been Euro 6 compliant earlier) to escape this extra charge. By 2019, diesel cars over four years may be liable to pay £24 to enter the ULEZ. Following on from the government's UK Air Quality plan, several cities around the UK are investigating and setting up cleaner air zones. Many target all combustion vehicles, not just diesel cars. Oxford has gone one step further and proposed a Zero Emission Zone. The plan would phase out diesel and petrol cars entirely, starting with non-zero emission taxis, cars, light commercial vehicles and buses banned by 2020 from certain roads, and all non-zero emission vehicles across the city centre by 2035. Wondering whether you should go electric? See our round-up of the best electric cars.